It was a cool and crisp September morning, the autumn light not yet creeping over the horizon as I scrambled out of bed. Savouring the embrace of a warm Earl Grey, the journey to Bolton and Scan Computers began. 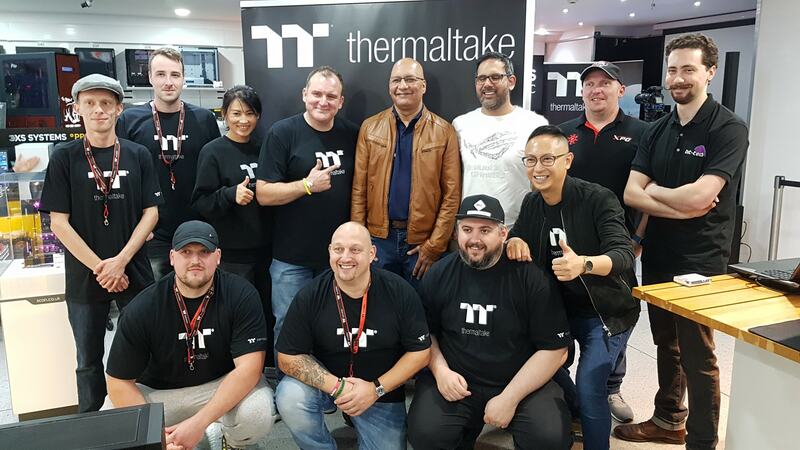 If you saw the announcement last Thursday, you'll no doubt be aware that Saturday marked the hardware handover date for the hopeful contestants of the Thermaltake UK Modding Trophy 2018, and there was a whole day of fun PC-related frivolity to be had for anybody wishing to drop in and say hi. Scan is an impressive shop, in essence a large showroom packed with hardware and water-cooled systems, an ideal setting for the event. Things kicked off with an introduction to Thermaltake in general, along with the modding competition heritage. In addition, each modder was asked to say a few words about their project intentions along with a brief overview of how they got into modding in general. After gorging ourselves on pizza, it was time to see who would come up trumps in the speed building contest. 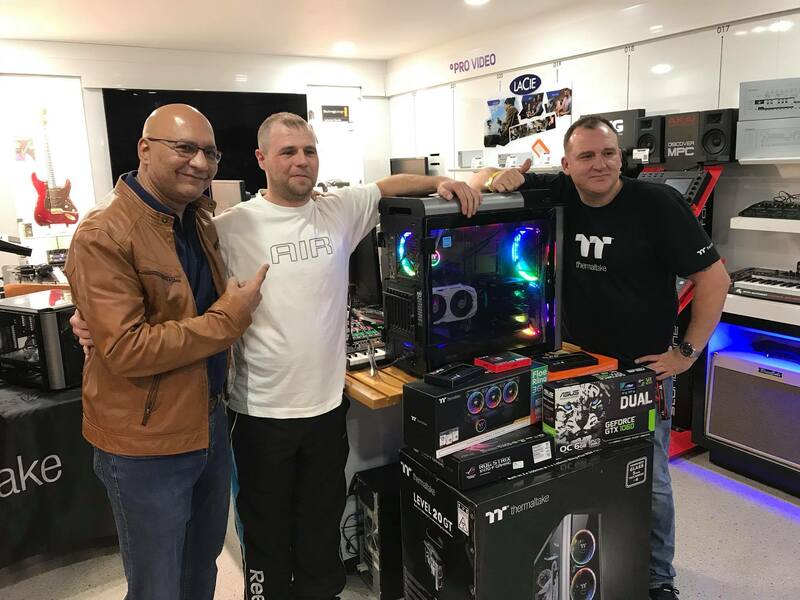 The aim of the game here was to assemble a PC consisting of a non-modular PSU, case, motherboard, RAM, CPU cooler, GPU and a 2.5" SSD against the clock, and at the end of the day the contestant with the lowest time wins the grand prize, in this case a £1,600 PC: not too shabby! To begin with, the contestants raced against our modders, and later when most had finished their turns, it went head-to-head. The eventual winner managed to cruise in with a quite frankly ridiculous time of 2:58, a worthy performance most definitely. We had a great time; it was fantastic getting to meet everybody at last and just spend the day talking about PC building and modding in general. If you feel you missed out, then you'd be right! Fear not, however, as we'll be back up at Scan on the 15th December to announce the winners, so expect more fun to be had, and if you feel you can best the rest at the speed building contest, why not give it a shot? In the meantime, we'll be covering the progress that the modders make in their project logs in the forums here on bit-tech - we're expecting big things from this lot!